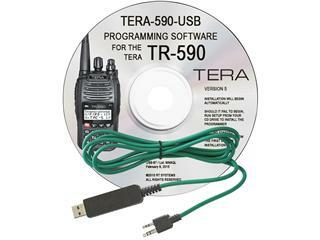 The TERA-590-USB kit allows PC programming for the TR-590 Dual band radio. Kit includes USB PC programming cable and Windows software CD disk. Works with Windows 8, 7, Vista and XP. TERA TR-590 requires this software to first unlock the radio before use.